Brett King is excited. He’s days away from the launch of his new “bank”. He’s written three books about what he should do. Now he has to do it. “We’re in an extremely exciting period of innovation” he says, with a focus on mobility, social collaboration and technology. “While industries like publishing, media and retail are undergoing seismic shifts, the banking world hasn’t really changed in hundreds of years.” Moven seeks to change that. He audience is the “digital native” generation, now starting work and with more money and expectations of banks. 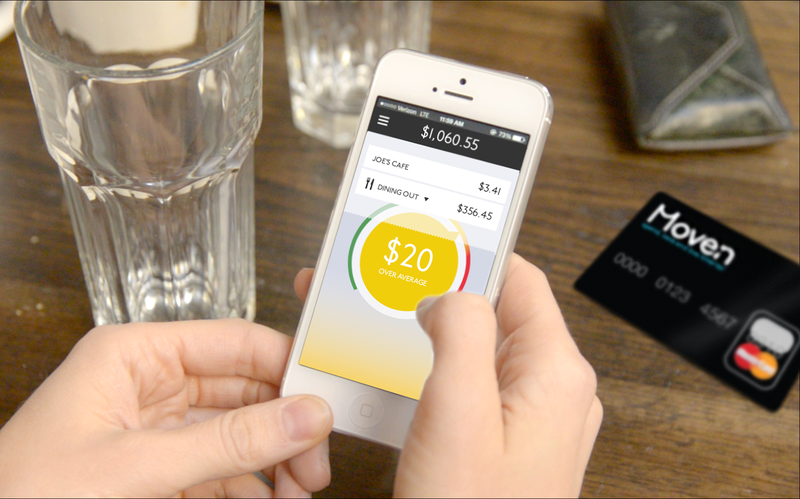 At the core, Moven is trying to evolve the basic day-to-day bank account. In the 1960’s a bank account was personified by an account book. In the 70’s and 80’s it was your cheque book. Today it’s a debit card. “Undoubtedly the bank account of tomorrow will be based on your smartphone” says King. This enables us to build a very different day-to-day experience around your money that just isn’t possible with a plastic card or a paper book. Actually Moven isn’t a bank. It’s a digital solution designed around the customer, helping you to shop, buy, live and manage your money better. Whilst most banks are simply trying to shrink their websites down to the size of the phone screen, and perhaps allow you to put your debit card details into a “mobile wallet,” Moven is rethinking the banking concept. “The real opportunity lies in changing your connection day-to-day with your money, and improving your control over your financial wellness through an intelligent payment device. Plastic = dumb, phone = smart, where smartness comes through giving context”. Opening a Moven account includes a significant behavioural shift for consumers. Personal payments can be made by email, text or Facebook. Store payments are encouraged by contactless technology, with either a NFC (near-field communicator) built into your phone, simply stuck on the back. Plastic cards are also available for those without the confidence to go completely digital, to pay more conventionally, or get money out of most other bank’s ATMs. However the real difference is how it helps you. As you pay, you can see your balance before and after a transaction, but our receipt experience also gives you real-time feedback that helps you understand the impact of simple spending decisions. “Think of buying a coffee at Starbucks in the morning. You buy a $6 coffee and a Bagel for $4 – a $10 purchase. If I ask you how much you spent at Starbucks each month, you might guess $100, maybe $120 dollars – so when you find out via our smart receipt that you’ve already spent $230 at Starbucks this month, you might be surprised. How might that affect your behaviour tomorrow when you are going past Starbucks? A normal bank account or plastic card could never elicit this type of psychology, useful to the customer, but also potentially to retailers too”. The new funky and friendly tools include MoneyPulse which will analyses spending behaviour and provides visual cues (green, yellow and red indicators) and MoneyPath which charts a customer’s spending over time and can link to a customer’s Facebook timeline. There is also CRED which is a simplified scoring system to assess risk and financial potential, and Financial Personality which puts you in a box according to your attitude and behaviours … artist or breadwinner, professor or rockstar! Following 12 months of testing Moven launched in early 2013, mainly using email and social marketing and the tagline “Time to get your money Moven”.